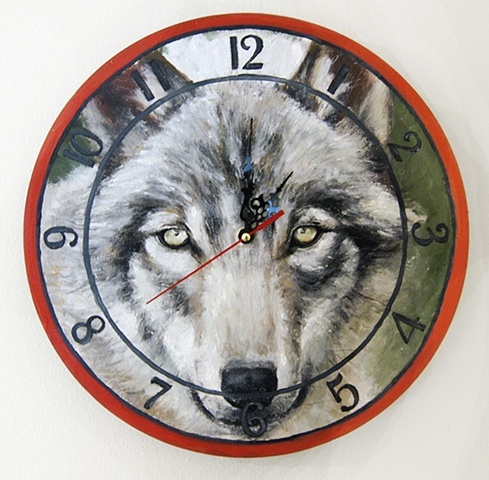 SARAH SMITH - "Predator Clock"
Apex predators are hugely important in the function of nature. Loss of these predators has brought on a trophic cascade - an ecological phenomenon, a chain of events that moves down through the levels of the food chain. These predators & the processes of the food chain ultimately protect us and our environment.